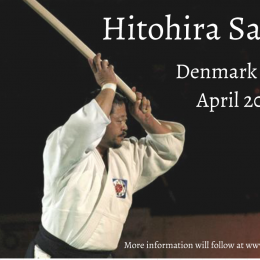 Shin shin aikido Copenhagen is pleased to announce another international seminar with Hitohira Saito. It has been 10 years since his last visit and we look forward to another amazing experience. 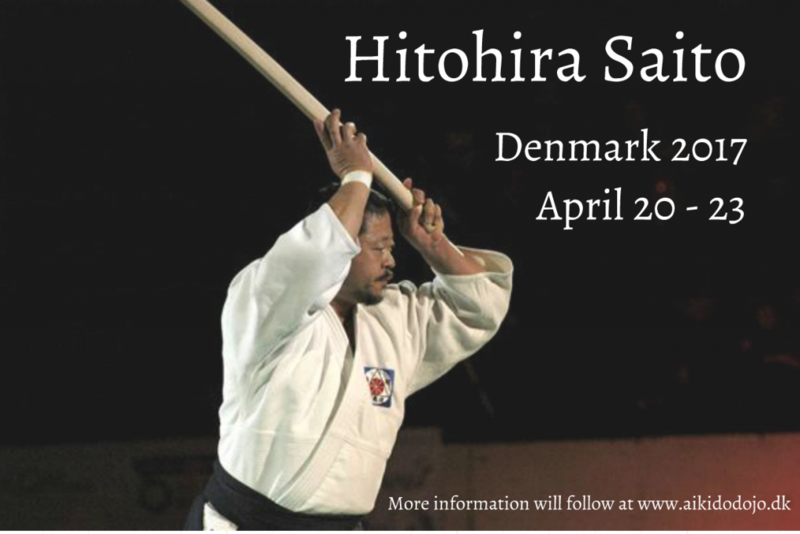 The seminar will take place at Bosei a Japanese folk high school in Præstø, approximately 1 hour driving from Copenhagen. Evensølundvej 5, 4720 Præstø (www.bosei.dk). 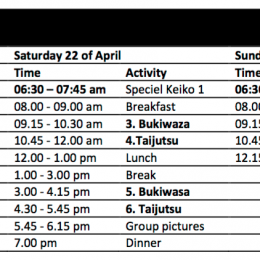 Accommodation will be in 2 person rooms. Friday at 12 - 3:40 pm and Monday 12 – 2 pm there will be transportation between Lundby train station and Bosei. Take the train or metro from Kastrup Airport to Copenhagen Central station. Then take any train bound for Rødbyhavn, Hamburg or Nykøbing Falster. Only every second train stops at Lundby station SO REMEMBER TO ASK THE PERSONAL. The price is about 20 Euro. 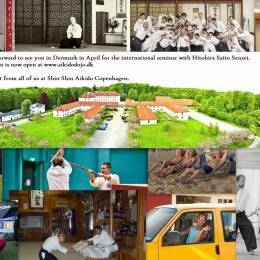 At Lundby station you will see a sign saying “AIKIDO”. or Aleksej on 0045 50581756.